Celebrate 50 years of Tanzanite with 1-1/2 carats of the famous stone. Fifty years ago, the world’s most sought after violet-blue gemstone was introduced to the world. In 1967, the world’s one and only tanzanite supply had spent 585 million years forming in the foothills of Mount Kilimanjaro before a freak lightning strike set the ground ablaze and revealed Tanzania’s hidden treasure. One year later, Tiffany executives christened the stone “Tanzanite,” and the biggest jewelry sensation of the 20th century was born. 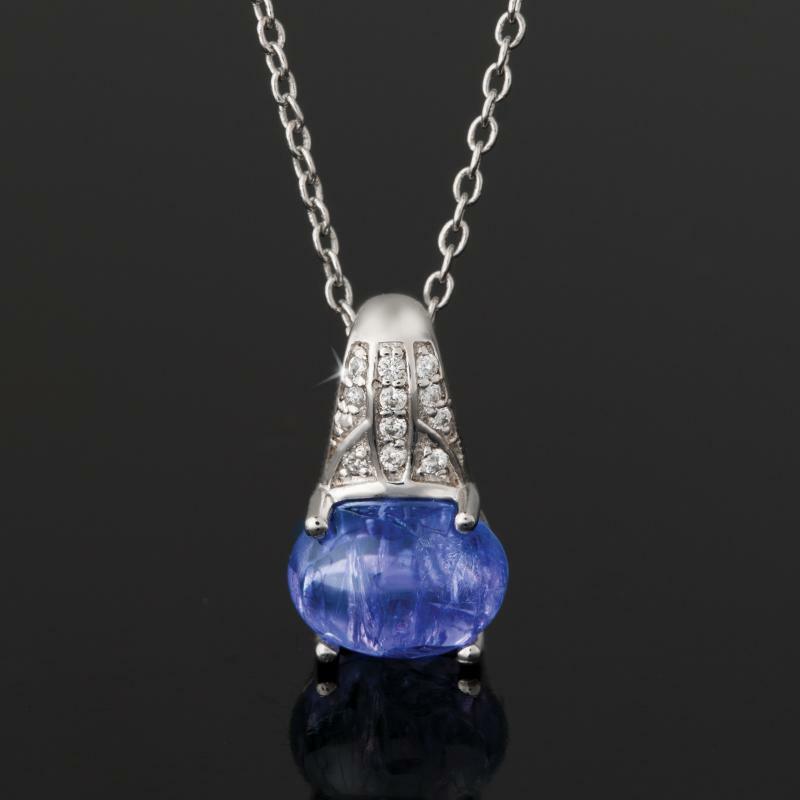 Our Tanzanite Celebration Pendant honors the 50-year anniversary of the famous stone that’s 1,000 times rarer than diamonds by featuring precisely 1 1/2 carats of tanzanite in a sterling silver ring. The singular and stunning oval cut tanzanite cabochons in each Celebration Pendant display the vivid, violet-blue color that makes tanzanite so desired, and the sparkling setting of 40 scientifically-grown DiamondAura® rounds enhances the effect. The bittersweet side to celebrating 50 years of tanzanite is that it is unlikely we’ll see 50 more. With only one known location in the entire world, the supply of new tanzanite is expected to be exhausted in the not-too-distant future. Once no new stones are available, tanzanite will be a luxury you either inherit or you buy at a premium. 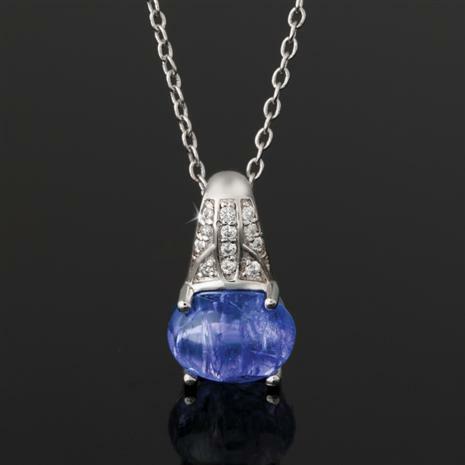 But for now, at least, we can sell the Tanzanite Celebration Pendant for just this price. Add the ring and earrings and really celebrate in style.